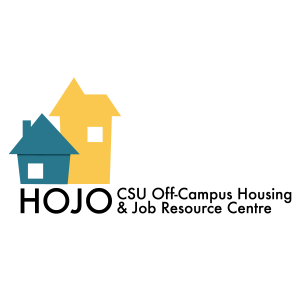 The CSU’s Off-Campus Housing and Job Resource Centre is your resource for off-campus housing issues and workers’ rights. We provide legal information to students and members of the Concordia community, offer a classifieds website to find work and housing, and give workshops across campus and in the community. Visiting HOJO does not require an appointment; simply come by our office in the Hall Building Mezzanine (H-224) if you have questions or require assistance. HOJO has a series of annual campaigns on themes such as job and apartment search tools, rental increases, and tenant’s rights. We also offer accessible resources to find safe, clean, and affordable housing in Montreal. Our office has a computer and phones to use if you have just arrived and need a place for your search. You can also learn a lot about renting in Montreal from our web resource likehome.info, which features an interactive map showing many Montreal neighbourhoods and their average apartment rental prices—a perfect apartment hunting tool! The site provides an overview of your legal rights and responsibilities as a tenant, too, to prepare you for anything that may happen before, during and after your stay.